An executor of a Last Will and Trust is an individual who is named in a will by the deceased to administer his estate after his death. If there is no will, an executor may be appointed by the probate court according to the laws of the state where the deceased resided. An executor of a Last Will or Trust owes a significant duty to the creator of the will or trust to carry out his wishes, as well as an obligation to properly allocate assets to the beneficiaries and payments to the creditors of the estate. One of the primary duties of the executor of a Last Will or Trust is to identify and collect the assets of the deceased. This means that the executor must locate all assets, such as bank accounts, retirement accounts, stock and bond certificates, real property and personal property, belonging to the deceased at the time of her death. The executor will need to provide an inventory of all these assets to the court and protect these assets by securing them, closing accounts or obtaining insurance, as needed. Once the assets are identified, any debt owed by the deceased at the time of death must be paid out of the estate. Creditors should serve notice on the executor regarding the fact and amount of debt, which the executor must then approve or deny. If the amount of debt is more than the assets of the estate, then the executor will need to apportion the payments to approved creditors according to the probate code of the deceased's state. Most states provide for a type of pro rata system whereby each creditor receives a portion of the debt owed to them. If any assets remain after the creditors are paid, the executor of a Last Will or Trust must distribute those assets to the deceased's beneficiaries according to the terms of the deceased's will. If there is no will, then the assets are allocated to beneficiaries according to the terms of the state probate code. The executor is also charged with keeping the beneficiaries informed of any actions taken by the executor on behalf of the estate during the administration process. The final duty of an executor of a Last Will or Trust is to settle the estate by filing a notice with the probate court that the estate is closed, and that all claims of the creditors have been paid and the remaining assets, if any, have been distributed to the beneficiaries as required by the state probate code. Many states provide for payment to the executor for performing these duties, but the amount of this payment varies widely from state to state. 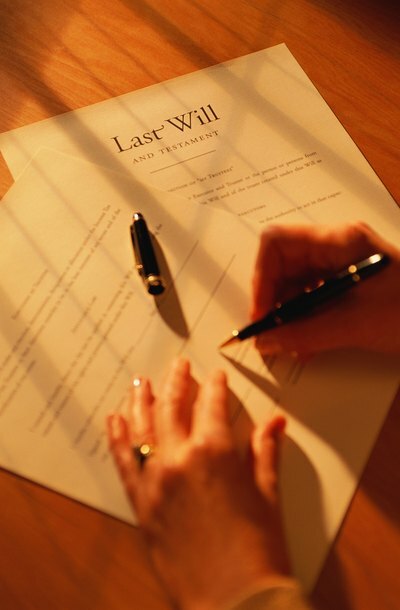 In Last Wills, Trusts & Estates, Can an Executor Also Be a Beneficiary? A person may name his adult child or other trusted relative or friend as executor in his will. He may also name devisees, or individuals who will inherit his property at death, and beneficiaries, or those who will benefit from any testamentary trust established by his will. An executor may also be a devisee or beneficiary. A trustee is a party who administers the assets of a trust and distributes them to beneficiaries in compliance with terms established by the trust grantor. Although the terms of a trust often allow a trustee considerable discretion with respect to the distribution of assets to beneficiaries, beneficiaries have legal options if the trustee's refusal to distribute trust assets appears to be unjustified. What Happens When a Revocable Trust Ceases? What Happens When an Executor of a Will Doesn't Carry Out What the Will Asks For?